Ace Combat 7: Skies Unknown, the highly-anticipated (at least among fans) revival of the classic aerial combat series won’t be gracing our skies this year. Bandai Namco and its studio Project Aces have confirmed that the game will be delayed into 2018 for the PlayStation 4 and Xbox One. Director Kazutoki Kono provided the explanation on Project Ace’s official website, translated by Siliconera. I wanted to take this opportunity to speak directly to you, our loyal Ace Combat fans, and give you a first-hand update on the launch timing for Ace Combat 7: Skies Unknown. The Project ACES team and I have been working hard on Ace Combat 7 and we’re determined to achieve the vision we have set for the game. In order to reach that vision, we have decided to move the launch ofAce Combat 7 to 2018. 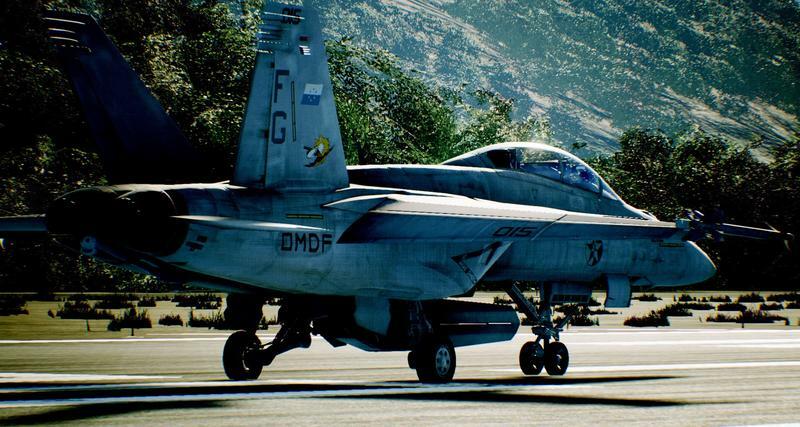 Even back in the days of the PlayStation 2, Ace Combat has always dared to push graphical limitations, and its planes and landscapes earned Project Aces a reputation of creating some of the most lifelike graphics ever assembled in a video game. Of course, it doesn’t have to generate human characters, which is a major plus, but just check out these two new screenshots provided to see what we’re anticipating here. Yeah, stunning. I’m not even a proponent of photo-realism in games, and I’ll gladly wait until 2018 to make sure this game is as perfect as possible. Ace Combat 7: Skies Unknown will be released for the PlayStation 4 and Xbox One in 2018, and it will support VR.